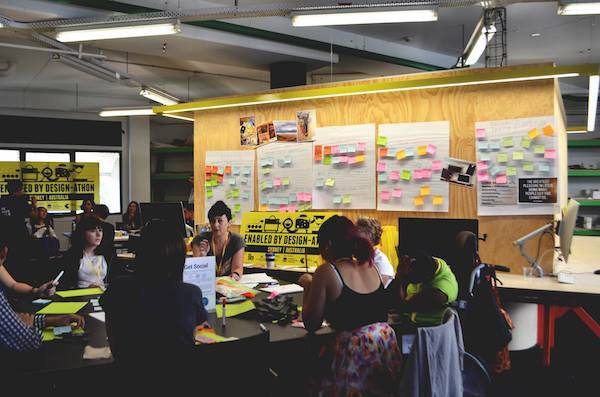 In collaboration with Remarkable, the Faculty of Architecture, Design and Planning is hosting a two-day action packed hackathon-style event, Enabled by Design-athon from 24 - 25 February. Across 48 hours teams will hack solutions for everyday challenges as identified by people with disabilities, therapists and caregivers. You are invited to participate in the free workshop and learn new skills, solve some wicked problems and meet like-minded people. It's open to students of all disciplines including design, architecture and research. Teams will include professional design experts and students from other faculty's and Universities. There will be a whole range of talent in the room! Teams will use design thinking methodologies to create accessible, usable and desirable technologies. Disability experts will work alongside hackers creating prototypes of hardware and software. Over $10,000 in cash and prizes to be won! © 2002-2011 The University of Sydney. The University of Sydney School of Architecture, Design & Planning.